Thousands of miles away from many of the world’s major fashion capitals, 31-year old Bermudian designer Patrice Morgan says she is determined to drum up enough cash to take her accessory label worldwide. After spending the past decade running a local lifestyle publication “SHOWOFF Magazine”, Ms Morgan is no stranger to the ebbs and flows of an entrepreneur’s career. So armed with a Bachelor of Arts degree in Fashion Design and a Foundation Degree in Accessory Design, her passion for luxury leather products has now led her to launch her brand, affectionately entitled Bermuda Born. 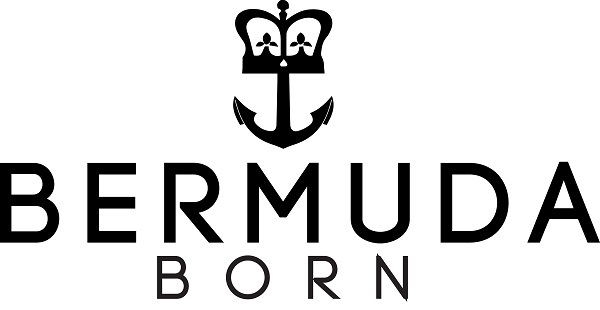 “Bermuda Born is a start-up luxury accessory and gifts brand that provides premium products that not only feel good to the touch, but are manufactured by only the world’s finest craftsmen with time honoured traditions,” Ms Morgan said. Ms Morgan said she has a special interest in developing a luxury brand, as she is quite concerned with the environmental impact of “fast fashion”. “Fast fashion is the result of consumers demanding trend-driven, cheaply made products,” said Ms Morgan. “However, this has created a disposable culture, which is resulting in environmental issues globally in the form of not only clothing landfills, but the human factor. “My vision is to switch the fashion game around by changing the way consumers view quantity over quality. I want consumers to realise that fashion can be something special that’s worth investing in, whilst still remaining affordable. The biggest hurdle Ms Morgan says she faces is raising enough funds to market Bermuda Born in major cities around the world. After months of research, she’s decided to jump onto the crowd-funding wave. Crowd-funding is an alternative way to raise funds and awareness for creative ventures from a community of people rather than from a lending institution or private investors. The public’s involvement with a start up company means that they can pre-order a designer’s first prototype before it officially hits the retail marketplace and usually at a price that is lower than what it would cost once the company is in full operation. Crowd-funding acts as a marketing campaign and is usually deadline driven, giving consumers a time frame to be part of this one off opportunity. Bermuda Born’s crowd-funding campaign will last 35 days and is being hosted by Indiegogo.com. Its products and Bermudian experiences are currently being sold to the local and international community through the crowd funding website. On Indiegogo.com you can purchase various branded Bermuda Born products with prices ranging from $5 to $1,000. Some include Bermuda Born’s first leather canvas tote, a wallet, an I-Pen, a custom-made silver and Bermuda cedar bangle, a signature body oil pack and more. To support Bermuda Born you can visit Bermudaborn.com.